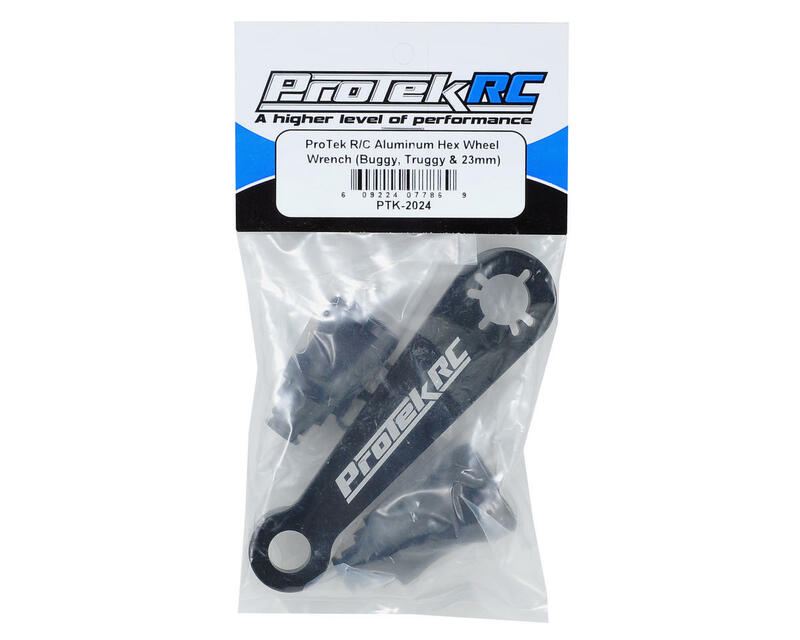 This is the ProTek R/C Aluminum Hex Wheel Wrench. Tools are an investment that should not be taken lightly and are one of the few items that should outlast the life of the model you are working on...and remain with you for years after. With so many choices available, the decision can be overwhelming. 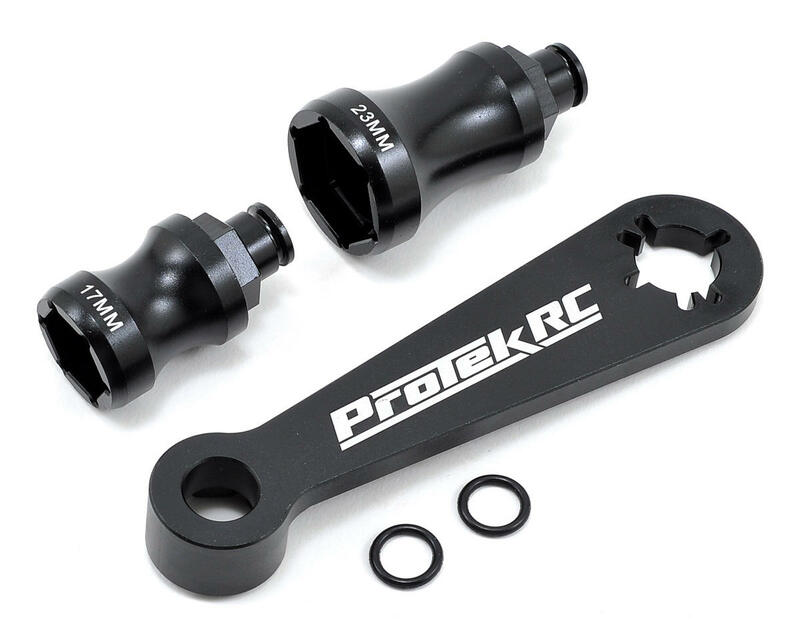 So ProTek R/C has stepped up again, expanding its product line with a complete range of affordable, high quality tools that help to make the decision a little easier. This billet aluminum wrench features a combination 17mm hex/flywheel wrench, with two interchangeable 17mm and 23mm socket pieces. The wrench by itself is perfect for removing the wheel nuts on 0 offset 1/8 buggy and truggy wheels, while the flywheel wrench on the opposite side can be used with both 3 pin and 4 pin flywheels. The long 17mm socket is perfect for 1/8 truggys and monster trucks that use 1/2 offset wheels with 17mm hexes, while the 23mm socket is ideal for 23mm hex monster truck wheels and 23mm 1/5 scale wheels! Don't waste your time or money on any other wheel wrench. This is THE wrench to have. Your wheel nuts will thank you for it! If you race 8 scale this tool is a must. Great quality tool and has so many uses. I strongly recommend this tool! I used this tool to take apart the fly wheel with ease and now I use it for 17mm 1/8th scale buggy hex wheels. It is a great design and easy on your hands!